We had a wonderful time the past couple of days with a young man we had the privilege of hosting during his visit to Debrecen. 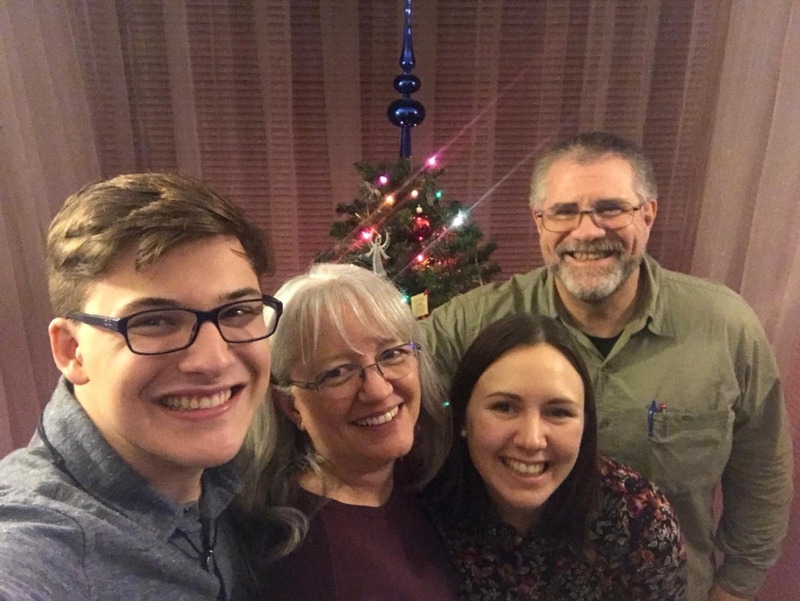 A native of Alexandria, Virginia, James is a student at Judson University; at the age of 19 he already has a lot of missions, teaching, and leadership experience under his belt. He stopped over with us while waiting to connect with Commission to Every Nation missionary Clinton White to head on to Uzhgorod, Ukraine. Among other ministry opportunities, James will be sharing the gospel with refugee and at-risk youth at a youth camp in Lviv, Ukraine. Last night was a special treat for us, as our Hungarian friend Adél came over to join the three of us for a Tex-Mex dinner (well, our version of it!) We enjoyed hours of fellowship…time talking about life, the Lord, and our favorite Scripture passages. A huge “thank you” to James for playing the guitar as we sang worship songs together! 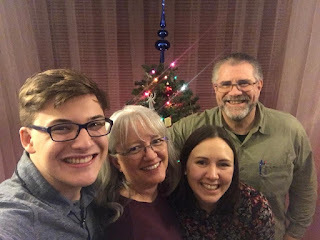 The evening ended in laughter over some goofy YouTube videos before we took a group photo by the tree and said goodbye for now. We look forward to a day when we can fellowship together with no more partings! But in the meantime, there’s work to be done…. For more about James and how you can join in his mission through your prayers, check out his latest update. Thank you for praying for him and those he’ll be sharing the gospel with over the coming two weeks in Ukraine.